Today we return to (and complete) the Giant Citadel. There’s a valley in the mountains that is avoided by sensible people and even adventurers (who are notoriously not in the sensible category most of the time) because it is home to a Stone Giant warlock of immense girth and supposedly immense power. Regular trade caravans run here however in order to meet his appetite for food and drink to complement his own herding operations that provide him with most of his meat. After all, keeping him fed and getting coin for it is a lot more appealing to most than having a kingdom of stone giants and assorted kin trampling around the area looking for free food. These halls are where the stone warlock holds court. His throne room and feasting hall are immense and impressive and designed to accent his already incredible size compared to his petitioners. He surrounds himself with ettins and also employs gnoll and flind herders to maintain and protect his bison herds. 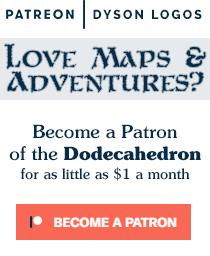 These bi-weekly map posts are brought to you by the many awesome patrons who keep the site and maps coming thanks to their pledges to the Dodecahedron Patreon Campaign. If you like these maps and would like to see more of them and have the money to spare, please check out the campaign that keeps these free maps flowing to everyone. Goodness, Dyson, you’re cranking them out at the moment. What kind of creative juice have you consumed? And they’re all very nice. Only 4 more to go before the MegaDelve upper levels are all mapped. Does that long hallway slant downward? Or exactly how does that passage that passes under/over the long hall gain or lose elevation without affecting the height of the other parts of the complex? There are two elevations in play here, and the throne room is in both – the throne is in the upper elevation and looks down on the lower portion in front of it (and there are no stairs or other means of climbing the gap besides physical prowess and immense size). 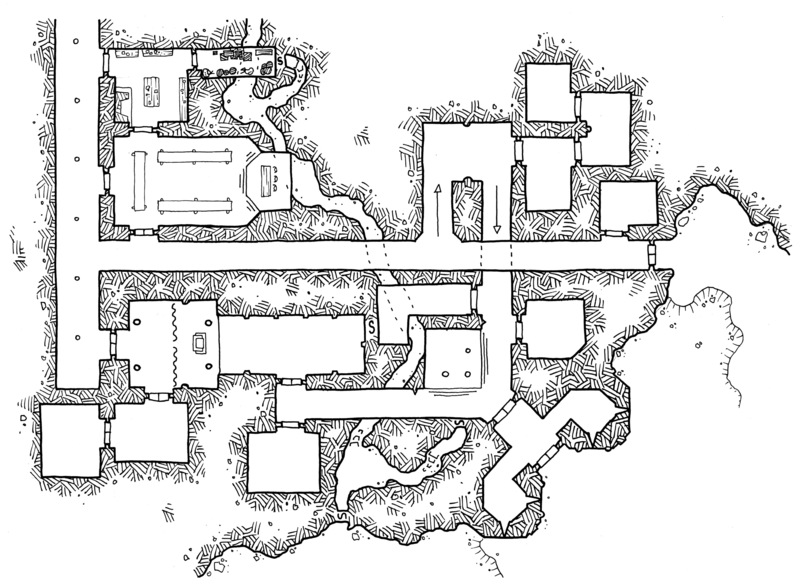 Plus there is technically a third elevation – the dwarven tunnels.